“Don’t bite off more than you can chew” is a great way of thinking about garbage disposal maintenance. Your garbage disposal will continue to do a great job of getting rid of waste so long as you don’t expect too much of it. Follow these rules to keep your unit working at maximum efficiency. Your garbage disposal is not designed to handle bones. Bones could actually damage your disposal. This vegetable has tough strings which can wrap around the blades of your disposal. Coffee Grounds. The granules of ground coffee can stick to the pipe walls causing buildup. Egg Shells. Like coffee grounds, the small pieces of egg shells can cling to walls of your pipes. Fruit Pits. Like bones, peach, plum, and other fruit pits are more likely to damage your disposal than be processed by it. You shouldn’t put grease down any drain, that includes your garbage disposal. It can quickly solidify and cause clogs. This one surprises people. Pasta when ground becomes like a thick paste that can stick to the gears of the disposal. Potato Peels. Like pasta, potato peels turn into a sticky paste. The same is true of banana peels. Hard Pet Food. Dry dog or cat food should not be disposed of through your garbage disposal for similar reasons to the other items listed above. You can use a handful of baking soda and half a cup of vinegar to keep your garbage disposal smelling fresh. If you include a lot of fruit in your diet, orange and lemon skins are also great for ensuring that you are not overwhelmed with foul odors. Ice-cubes are another excellent garbage disposal maintenance helper, as is running water in general. Do not use caustic cleaners, such as bleach, in a garbage disposal as it will damage your pipes. 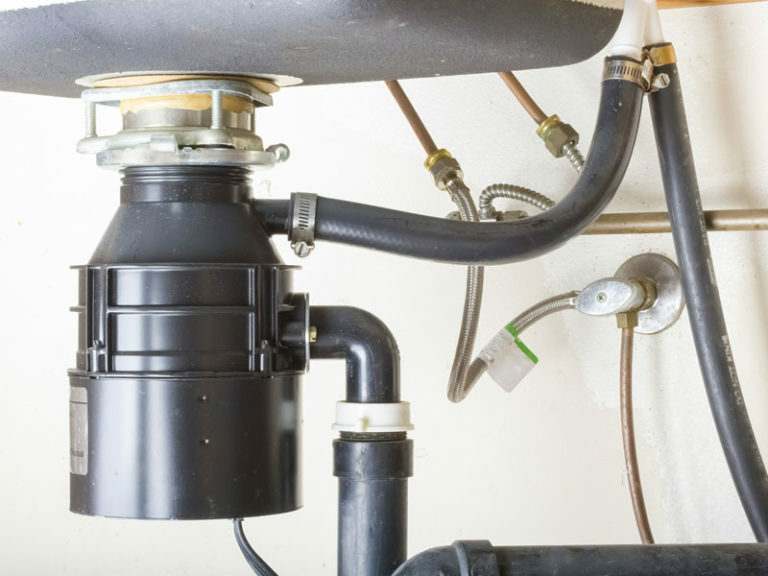 If you run into problems with garbage disposal maintenance, do not attempt to tackle the issue alone. Reach out to the experts from Show Plumbing in Cypress, Texas.